I am attending Fantasy Ball online show until 6th of June. This is Princess Ariel. 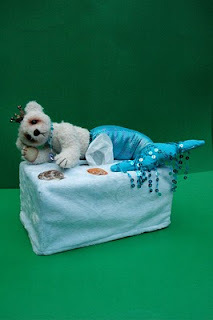 She is a mermaid bear that I also made her as a "tissue box cover". I always want to make a bear is not only for "display", it also can be "usable". So I have made a purse bear on last online show, and Princess Ariel is my latest design of "usable bear series". Remain once again, please click the link which showed above. 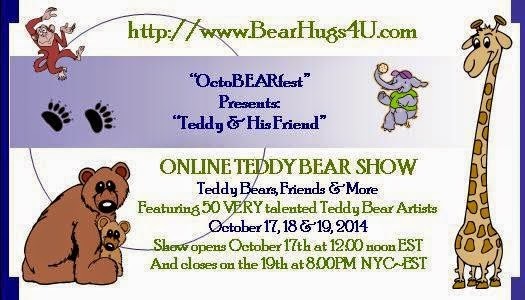 The online show is opened for a week long, so it's still have pleanty of time to have a look all of the fantastic creations! !